However, what the speed do demonstrate is how far the race for developing super fast broadband speeds has developed in the past few years, and what its commercial applications could mean. 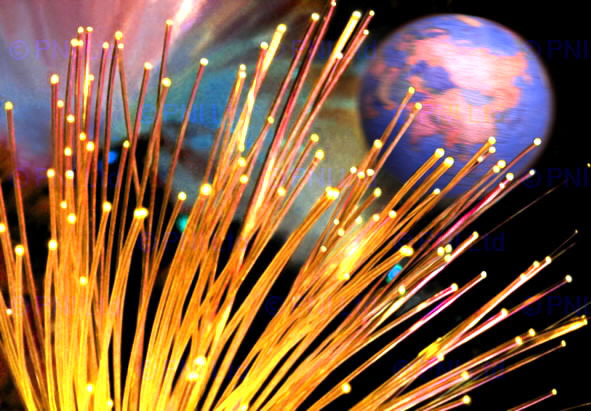 With South Korea currently the world leader in terms of pushing at 1 TB download speeds for its broadband, being able to harness fibre optic technologies will be one of the key challenges of the next decade. The ability of researchers to deliver these estimated speeds is due to the capacity allowed by single fibre cables. In theory, the speed of a signal is relative to the speed and frequency of light passing through the cable, and how precise this can be made. In the United States, researchers have pushed for one distinct channel that will focus pulses of light. By contrast, researchers in Japan have developed seven core points of light, which they believe will produce the same kind of speeds. In this way, the capacity for faster Internet speeds is relative to how well these kind of cables can be produced for commercial use, as well as their practical costs. If successful, 100 TBs speeds would effectively mean instant access, downloads and upload rates far exceeding what we currently receive. While there is an argument that 100 TBs is too much, that the actual benefit for the average broadband user will be low, these kind of speeds have broad uses for connecting together platforms and different networks. If fibre optic cable is wired to a cabinet for a number of different properties, that speed would be, at least partially, divided to share across different people. Moreover, having an ultra fast connection would be of benefit to data centers and the servers of companies like Google and Facebook. The commercial reality of these ultra fast broadband speeds are, unfortunately, still tied to delays in creating international standards and an equal distribution of broadband speeds. While countries like South Korea that invested early, and significantly, in creating an excellent broadband standard, other countries are still working on their infrastructure. These countries include the UK, with the government having recently invested in speeding up broadband speeds in major cities and rural areas. BT are promising upgrades of their planned 50 to 100 MBs fibre optic broadband with 300 MBs, while Virgin have also stepped up their own fibre optic network. Access to the kinds of figures that are being achieved in laboratories is still a fair way off, then, with most consumers having to look forward to the possibility of 100 MBs speeds as a realistic goal over the next year or so. Moreover, users should also look towards developments in super fast 4G wireless networks for mobiles. South Korea already has this capacity, and the expansion of 4G could provide a better option for many rural areas while fibre optic cabling plans continue. Sebastian is a freelance copywriter currently working with Cable.co.uk – Being a bit of a broadband junkie himself he’s trying to increase awareness of fibre optic broadband packages available to consumers in the UK.